Vanilla extract is commonly used in cookies because of its fragrance and flavor, but lemon is an alternative that works equally well. 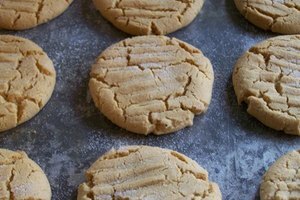 If you use lemon extract in your cookies, they will end up with a slightly more bitter and acidic taste. Combined with the natural sweetness of most cookies, this bitterness creates an interesting contrast of flavors. 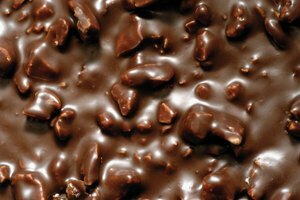 To achieve this unique cookie flavor, recipe substitution is relatively simple. Mix all your cookie ingredients together following your recipe, up to the point where the recipe calls for you to add vanilla extract. Add lemon extract to the mixture when the recipe calls for vanilla extract. It's that simple. Just add an equal amount of lemon extract in place of the vanilla and your recipe will have an entirely different flavor. The extract is essentially a flavor addition, so you could use less or more than equal parts based on how bitter or sweet you wanted the finished product to be. An equal-parts substitution is a good idea for your first batch of cookies, and you can tweak the recipe later. Bake the cookies as usual, wait for them to cool and decorate. Consider a sweet frosting or sugar glaze to counteract the lemon if you find that the cookies are too bitter for your personal taste. 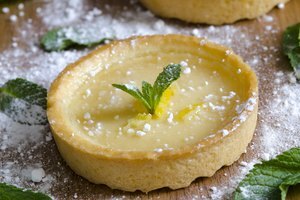 You can add a drop or two of lemon extract to premixed dough for a lemony flavor. Knead the dough thoroughly for 2 to 3 minutes to work the extract into the dough. Use only pure lemon extract, not lemon juice. Lemon juice will not provide as strong a flavor as extract. In order to get enough flavor out of juice, you would need to add so much liquid that the cookies would not bake properly.